Anneke Caramin: I Made Stuff You Can Own! 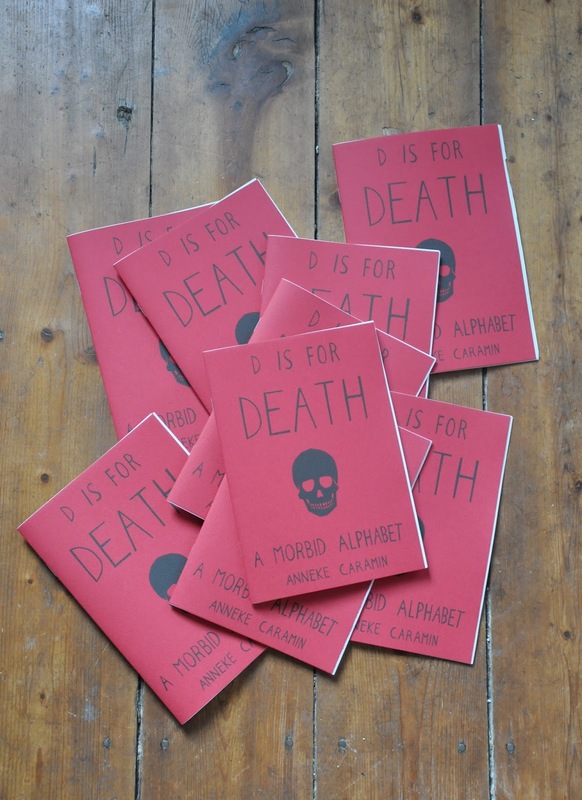 Remember how I participated in 24-hour comics day and made an alphabet of death in 24 hours? Yeah, it's still a bit of a blur here as well. 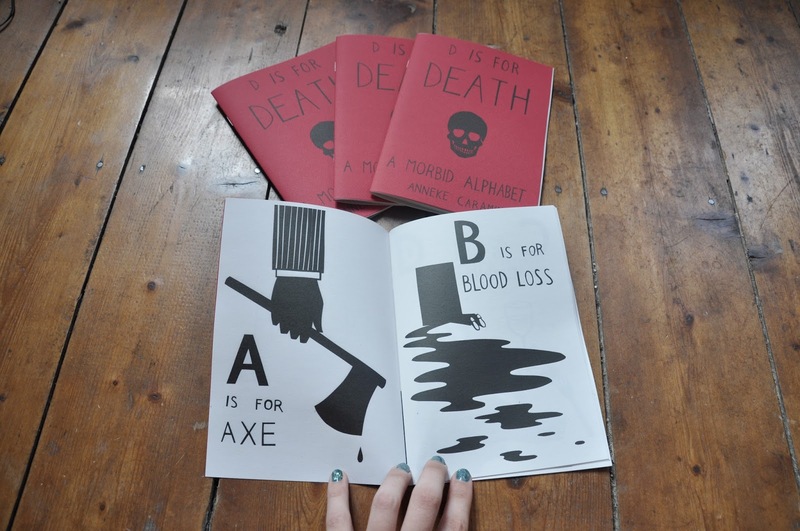 I can happily announce that I published the entire alphabet as a zine! The best thing is that you can own this! Did you always want to teach your child the alphabet and traumatize them for life? Or do you just want this for any reason you can think of? It's yours for 8 euros + shipping. Send an e-mail to caramin.anneke@gmail.com and we'll work something out! I also have a new illustration available as a print. This is part of a series I've been working on for AGES and it's finally coming together! Your own bad hair days are nothing compared to hers, believe me. 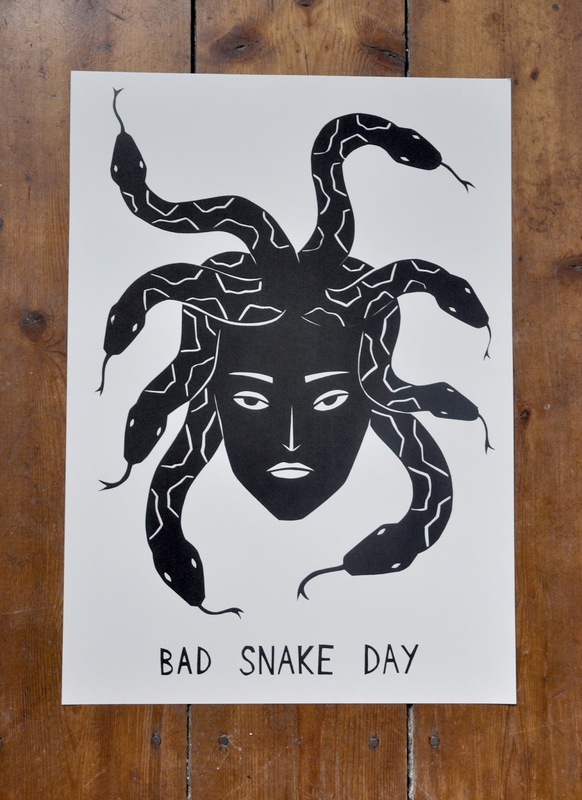 This is a print of an original illustration I hand cut out of black paper. This is an A3 print on 200 gsm paper, and it's 10 euros + shipping! I have some more ideas for prints, postcards and zines, so stay tuned!